Stay updated with all the latest happenings at Techjoomla. From news about the developments in your favourite extensions to Tips & Tricks about the Joomla CMS, Framework & Development. 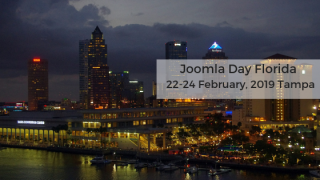 The fourth annual JoomlaDay Florida will take place from 22nd-24th February 2019 in Tampa, Florida at the Hillsborough Community College, YBor City Campus. JoomlaDay Florida is currently the largest attended Joomla Day in the United States. The who’s who of the Joomla community is going to be an integral part of the event. Even the Wordpress community is going to be a part of the event this year. This is a perfect platform that brings together web designers, developers, and marketers from across the globe. JoomlaDay Florida is an event for all Joomlers that are interested or involved in web design, development, and digital marketing. This event is a great chance to meet Joomla experts who can share their knowledge and expertise. It is a perfect place to make new friends and meet people of diverse culture. Besides this, one will be acquainted with the happenings in the Joomla world. Learn how the upcoming Joomla 4 will impact businesses and the Joomla community. Whether you are a novice or a professional, you will get trained by the very best Joomlers with workshops on design, Joomla applications, Joomla administration, and security. Like many other Joomla days, JoomlaDay Florida is a great opportunity to get recognition for your Joomla knowledge. Open Source Matters will be holding Joomla Certification testing at this year's JoomlaDay Florida. 13 years ago a CMS was Born. Today it powers an entire industry. Happy Birthday Joomla ! Since 2005 Joomla has come a long way. Today it powers an entire Industry and provides thousands of jobs to people world wide. It has truly been a change maker on a massive scale. Personally for us, it has been central to our growth and strategy over the years. When Joomla was born, I was still in college using Mambo for some Non profit work with my partner Ashwin. When we started our first company in 2006 Joomla ! Was our CMS of choice. Joomla literally has been central to our story since the very inception and it remains one of our core offerings to this date. We had published Our Joomla Story back in 2010 when Joomla completed 5 years. We are going to talk to Peter Bui, Managing Director of PB Web Development in this The Joomla Speak interview. I met him at the Joomla World Conference 2015, Bangalore, India. A fun loving person who is also a Joomla Enthusiast and Contributor. Let’s get to know his thoughts on Joomla! What's your Joomla story? How did you get introduced? In 2004 and 2005 I experimented with a lot of different platforms from WordPress to Moveable Type and Mambo. Playing around with all of them working out what was best for the projects that I was building at that time lead me to choose Mambo as my solution. Shortly after it split and forked with Joomla! The rest is history. There’s lots of businesses built around Joomla - Extensions, Templates, Consulting, Services. How would you like these businesses to give back to Joomla? What's the best way in your opinion? I believe the most important thing is the adoption of Joomla. Showing, educating and spreading Joomla is the most important thing. With another interview in The Joomla Speak! series, we will be talking to Sander Potjer. I met him at the Joomla World conference 2015 in Bangalore. He is very easy to talk to and is keen to know about different cultures. we had a great chat about Open Source in general and the Community part of Joomla. Let’s see what he has to say about Joomla! My Joomla story started back in the summer of 2005. After finishing my high school I had a longer summer with plenty of time before my study Architecture started. During this summer I came across Mambo, which seems a very nice way to build websites. I used it to rebuild the Frontpage website for my rowing team, which was a very simple website and mainly my play-garden as I enjoyed experimenting with websites. At the time the website was finished, Mambo was forked into Joomla. I had no clue about forks, community and open source at that time, but simply followed the majority and converted the website into Joomla. Slowly I started creating more websites, and became impressed by Joomla, the community, and the open source spirit. It was great to notice that people are helping out each other on the forums and that so many people from different countries and cultures are contributing their time, skills and knowledge to work all together on Joomla, used for millions of websites. Something that still amazes me every day again. We’re back with yet another exciting interview form The Joomla Speak series of a Joomla enthusiast Apirat Jangjit aka Sai. She is The General Manager of CMSPlugin and today will be sharing her thoughts on Joomla and how her exciting journey with it has been so far! I was working as Executive Assistant and my ex-boss wanted me to update something on the company website immediately. Of course, the only program I used the most was Microsoft Office. I've asked my programmer, but he couldn't explain it to me in the easiest way possible. So the end of the day, my curiosity was still there and didn't really go away. I decided to take the Joomla class during my vacation leave to learn how to build a website. And I found it was so simple and I could do it myself. Now, my curiosity paid off. In this week's interview of The Joomla Speak! series we will be talking to Claudia Apostoaei who works as a Marketing Representative thePHPfactory and started her journey with Joomla since then. Let’s get to know her a bit. She reads a lot about the Gothic literature, loves to hear music Hip-Hop and Rock so to say, is also into creepy horror movies and in free time you might find her cuddling with her pet cat, Garfield. What does she have to say about Joomla? I have been introduced to Joomla! about one year and a half ago, when I started working as a marketing representative for the company thePHPfactory. You have built a good business around Joomla. What made you choose Joomla? thePHPfactory has been dedicated for more than 8 years to delivering cutting edge software for Joomla! integration. We are doing it because it's fun, because we are always proud to see our business grow alongside the J! Community. 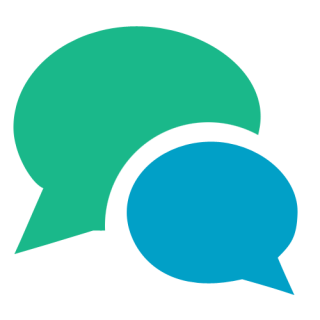 Here is our first Interview in the The Joomla Speak series with Joe Sonne. Let’s get to know him a bit before we start. Joe had a successful career in the graphic arts and multimedia industry before moving into management with a national charitable organization. Let’s see what Joe has to say! Like all communities #joomla has its favourite hashtags that you around the twitterverse (Yes thats an actual word !). There are many that keep coming and going but there are some that have become part of the cultural fabric of the community. I obviously have to start with this hashtag that's used to tweet anything and everything about Joomla. We are glad to announce the new JBolo version 3.1.1 which now has a new integration option for "Easy-Profile" Community Extension. Easy-Profile component lets you create - Profiled users by creating custom fields. You can choose to create the following types of fields: text, textarea/editor, image, select (dropdown), radio, checkbox, email, date, number, phone, GoogleMaps (Pro version only), hidden, link, delimiter, file. It looks impressive. With Easy-Profile Social Network Plugin - You can create a turn your Joomla site into a social network. Checkout Social Network Plugin Features here. You can try integration with or without Social Network plugin, if social network plugin is disabled or not installed the JBolo parameter "Show everyone or friends?" will be ignored and you will see all online members. In addition to this integration this version includes few bug-fixes. You can check the detailed changelog below. JBolo is one of the most popular Chat systems for Joomla & many popular Social networking platforms like JomSocial, EasySocial, Community builder to name a few. However besides these systems there are many extensions available that extend the Joomla User management to add features like extra fields, profiles, avatars etc. This blog is targeted at extension developers who want to add JBolo support for their specific profile extension. We are writing this integration guide for Jbolo so that you can easily integrate it with the community extension you build. 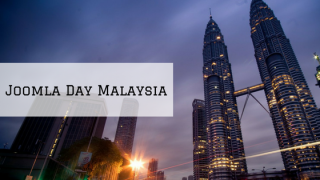 Joomla Day Malaysia a big success! We want to take this opportunity to congratulate you on organizing such an amazing Joomla Day! We really enjoyed it there. A special thanks to the Joomla Day Organising team & the folks at JomSocial for their superb hospitality. Meriza, Azrul, Irwan, Fuqaha & the gang - Keep it up, guys! Joomla Day Malaysia 2011 was an absolutely awesome event in an amazing location. High up on the 29th floor, the atmosphere was charged with some superb talks. It was an amazing experience, meeting & interacting with the Joomla community. Flikr is flooded with tons of #jdmy11 photos. Check them out here. Today, on the 1st of September 5 years ago Joomla was unveiled to the world for the first time. It's time for celebrations for the Joomla community worldwide which is one of the most diverse communities in the Open Source world. With the least entry barriers, where anyone can come in & take leadership & make change happen. It is this marvelous community of users, developers, designers, documentation creators, bug reporters & fixers, evangelists & every single person that has touched & been touched by this piece of software.